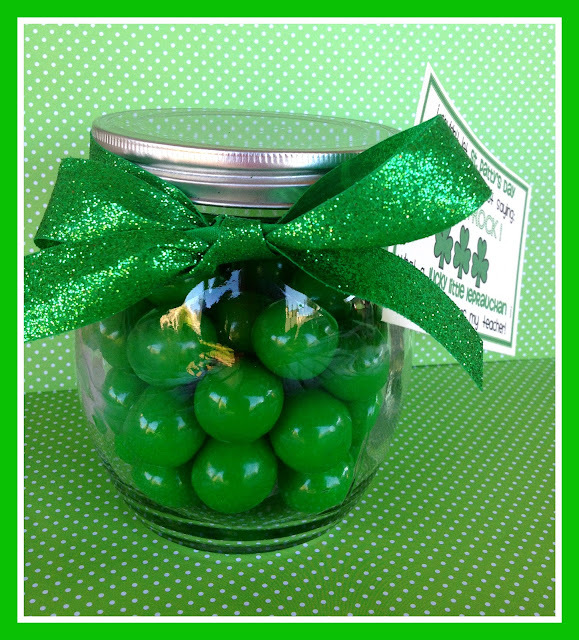 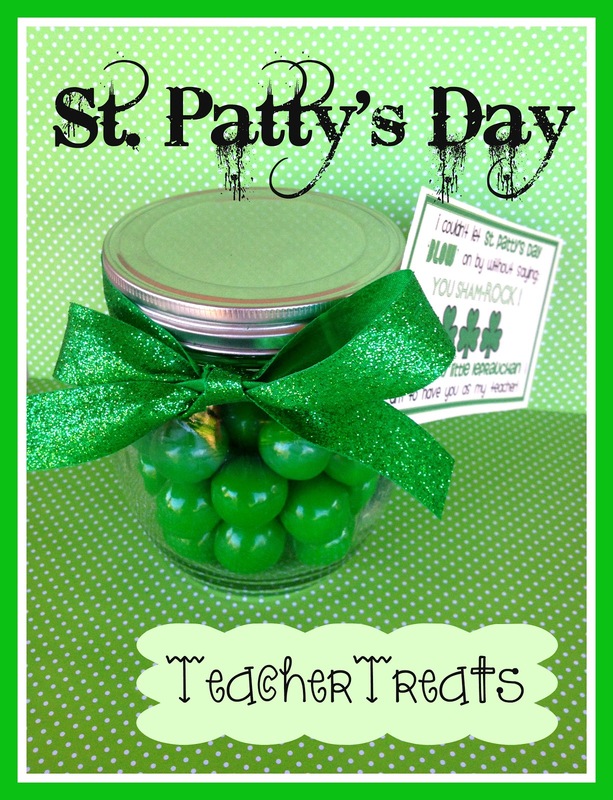 I still like to have them bring in a little GREEN treat for their teacher's before break begins. I stopped by my favorite local candy shop and picked up the green gumballs. I made a tag and tied a ribbon around it! You can download my FREE printable for this tag HERE. 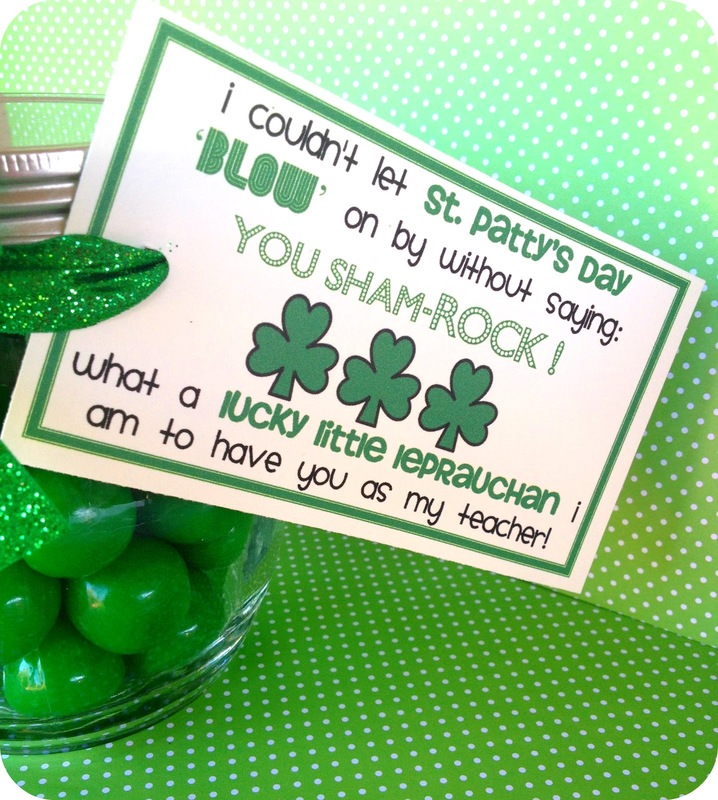 See last year's teacher gifts HERE.